Source: Complete Gambit matches and earn rank-up packages from the Drifter. 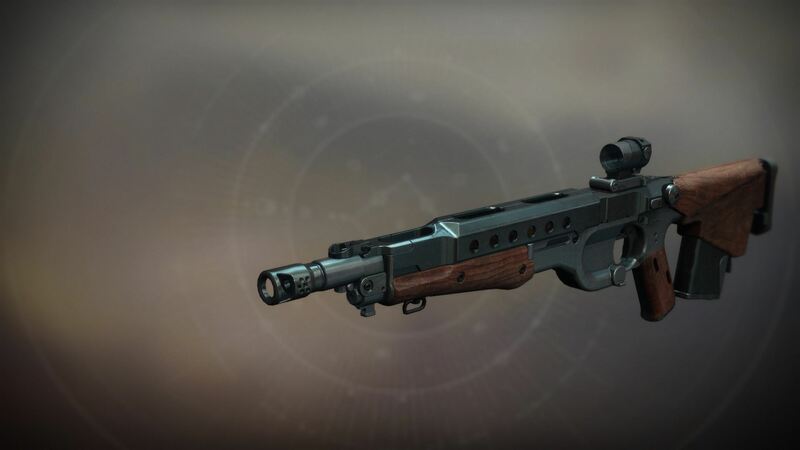 One of the best pulse rifles in the game. If you can't find a god roll, the one you can purchase from the Drifter is actually really good. Overall a fantastic gun. i'm not a big fan of pulse rifles but that one is very great! Gambit - Really good for Gambit mobs, not so much for guardians. PvP - Works well in PvP as well just the gun itself as the buffs are subpar for pvp but i manage. Really sticky to headshots. Vendor roll is pretty good as well. One of the best mid-ranged Pulse out there. Bygones: The overrated, annoying pulse that everyone seems to be screaming about, while I'm over here with my Claws wrecking fools. But still, great gun. I don't have a god roll, but I heard its op, so op it is.